THE Bureau of Metorology has issued a severe thunderstorm warning for people in parts of Capricornia, Wide Bay and Burnett forecast districts. The warning is for heavy and slow-moving thunderstorms which are currently brewing across the area and becoming more extensive later in the afternoon, when they may also drift further inland. 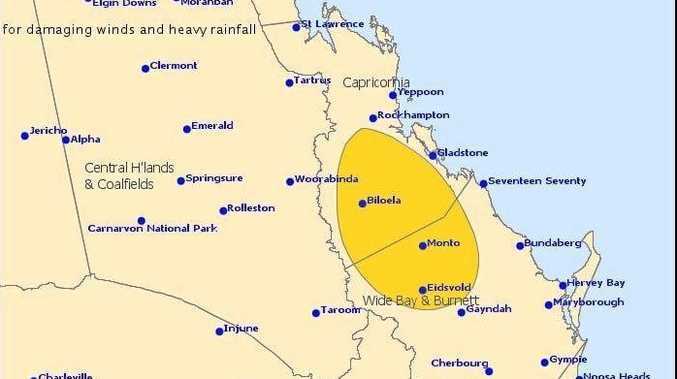 The warning area begins south of Rockhampton and ceases north of Gayndah, with Monto in the centre of the warning area and Eidsvold also predicted to suffer. Severe thunderstorms are likely to produce damaging winds and heavy rainfall that may lead to flash flooding in the warning area over the next several hours, the bureau said. Another warning is due to be issued by 5.30pm. 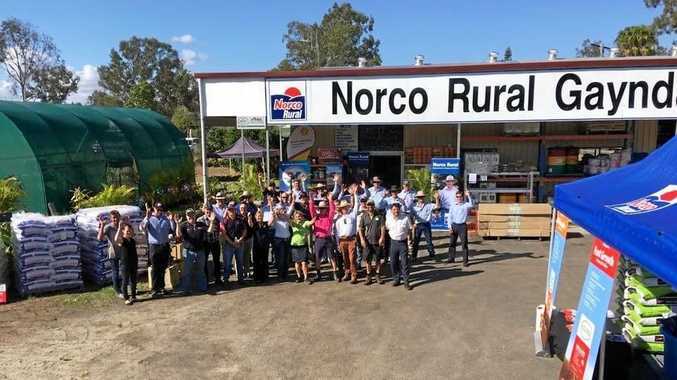 Queensland Fire and Emergency Services advises residents in the warning area to secure loose outdoor items, move their car undercover and away from trees, seek shelter, avoid using the telephone and beware fallen trees and power lines. Call SES on 13 25 00 if you need emergency assistance.